Have you ever wanted to travel to the Wild Wild West? Did you ever wonder what it was like to travel to unsettled areas and deal with the adventures you would find there? 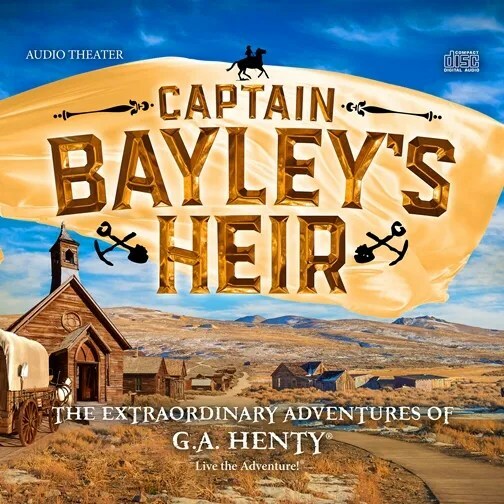 If you have, you definitely want to check out this review of Captain Bayley’s Heir from Heirloom Audio Productions, because it will take you right there! 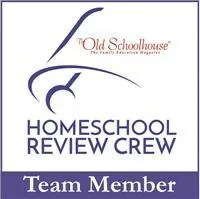 First, let me say, we have reviewed for Heirloom before and are always pleased with what they have to offer. In fact, I have a few expectations now whenever I get to listen to their audiodramas: 1. a stellar cast: Yes, they have amazing talent for all of their stories. From Brian Blessed, who features on the majority of their recordings, to others like Jade Williams and Ian Porter, you are getting a top-notch performance from everyone! These people really seem to LIVE their characters, which helps you get totally lost in the story. 2. Amazing soundtrack/sound effects: whoever does the sound recordings for Heirloom should be commended! Their sound effects/music/etc are always on point and perfectly suited to whatever is happening in the story. Like, if you close your eyes, you really feel like you are there! So, without giving too much away, this particular story, based on a classic GA Henty novel, features the story of Frank, an English lad falsely accused of theft when it comes to his inheritance. He flees to America to escape the charges and encounters the Captain on his journey. In addition, he travels across the country in the heart of the Gold Rush, ecountering raids, stagecoach robberies, buffalo and more along the way. Of course, he alos encounters the Lord and learns a lot along the way. So, why do we love Captain Bayley (and the other audiodramas from Heirloom) so much? Mainly because it is pure, wholesome family entertainment. You can listen to this with kids of all ages (the first one of these I reviewd, I think my youngest was 11, now he’s 16) and never have to worry about what is going to be said. We enjoy saving the CDs for road trips when we can all listen together, but you can also put them in a CD player at the house. The chapters are conviently divided, so it is easy to pick up right where you left off each day! Also, these audiodramas are just plain exciting! I have two boys who are now older teenagers and they have spent many years listening to these, and they always find them entertaining. As a homeschool mom, I appreciate the historical content, because I can see how you could easily use this story as part of a larger unit study/history study if you wanted too. In additon to the CDs, you also gain access to bonus content which includes a study guide. I always enjoy these study guides, because even though we primarily use the audiodramas from Heirloom for entertainment, I still like to know my kids are getting something else from listening, you know? The study guide includes discussion questions from each chapter which range from basic recall to questions that require a lot of synthesizing information and drawing conclusions. We use these strictly for discussion, but you could absolutely have older students write their answers to them if you wanted. Helpful vocabulary and background information is also included as well as Bible studies related to the story. On the whole, the study guides help take Captain Bayley from an exciting audiodrama to a real teaching tool. If you want to access the extra materials you need to sign up for the Live the Adventure Club which is a new feature Heirloom offers that allows you to connect with other people listening to the same story you are, gain access to extras and more. I know, sometimes you don’t want to sign up for one more thing, and to be honest, I get that, but it’s worth it. Thanks for stoppping by! Have a great week! As you may know, we live in Florida and were recently impacted by Hurricane Irma. One thing you learn quickly when you live down here is how to survive without power. After the storm, if you want to cook, you basically need to be able to do so with a grill and maybe one burner (which we have). So, this is one of my hurricane meals that is easy to make and very filling. Season chicken with Adobo and grill until cooked. Follow the directions on the rice mix to add the necessary water/olive oil to the pot. Chop the chicken into bite size pieces and add to the pot. Drain the cans of veggies and add them to the pot. Bring to a boil and simmer 20-30 minutes, adding more water as needed, until rice is tender. It’s not the way my grandmother used to make it, but it works if you’re in a pinch! I hope your week was better than mine! Thanks for stopping by for Menu Plan Monday! One of the things I find complicated about teaching high school is getting in all the elective credits. Sometimes it can be difficult to find interesting courses to fill those needs for your child. 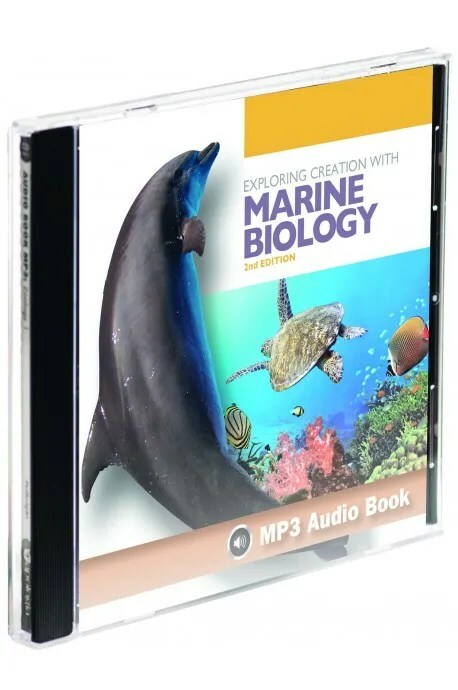 However, I do have a kid who loves the ocean, so the Marine Biology 2nd Edition Advantage set with the Audio CD from Apologia Educational Ministries seemed like a good fit for us! The Advantage set itself comes with the student textbook, notebook, and tests and answer keys. We loved the full-color textbook which has a great layout on each page. The pictures/charts/diagrams etc help break up the text, which is great for my son who has trouble focusing when there is nothing but words on the page. This program features 16 modules on topics like: Life in the Sea, Marine Invertebrates, Marine Ecology, Coral Reefs, and much more. Each chapter includes a few experiments that can pretty much be completed with things you have at home. I like this feature since purchasing a lot of very specific items for labs is often expensive. Directions are clear and easy to follow, meaning you can easily do the labs even if you do not have a lot of science experience. There are questions sprinkled throughout the chapter that help students articulate what they are learning, and each chapter features a review at the end that your child can complete before they take the test. 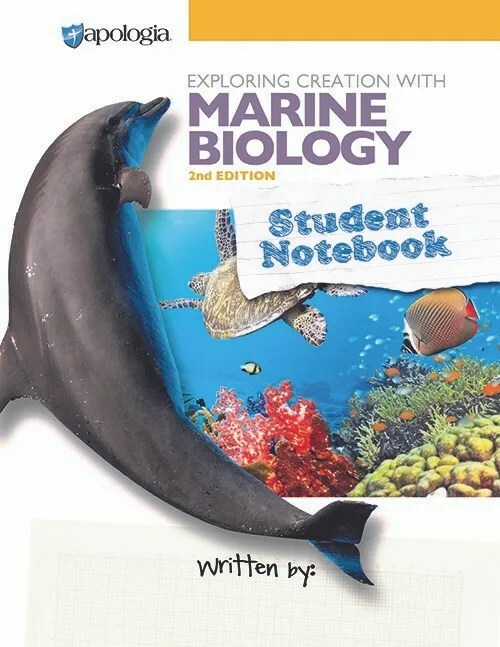 Apologia Marine Biology is a creation-based program, which I like, and interspersed in the chapter are sections called “Creation Connection” which links what is being learned in the chapter to evidence for creation. If you did not want to focus on this, you could skip this part, but I felt it led to very good discussions between my son and I and helped him sharpen his viewpoint on creation in general. The appendices offer a glossary, additional study guides, and a list of required lab materials. Basically, my son and I would work our way through the chapter, with him doing the reading and answering the questions, and when we got to the end of the chapter, he would complete his review and take the test. If he did not do well on the test I would have him go back and complete the additional study guide for that chapter. 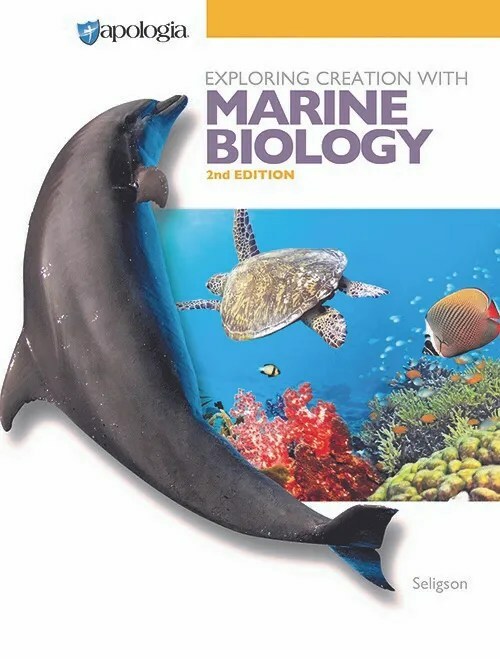 One thing that helped him complete the reading on his own is the Marine Biology 2nd Edition Audio CD. Read by Marissa Leinart, the CD offers a complete word-by-word reading of each chapter. This is great for reluctant readers like my son who are often intimidated by the sheer amount of reading in a textbook. Ms. Leinart reads at a comfortable, steady pace with appropriate volume and inflection so kids don’t get bored. The CD also offers and introduction and student notes section as well. It is important to note that this is an MP3 CD so you will need a compatible device to use it. Another really good part of the Advantage set is the student notebook. Seriously, I cannot stress enough how, whenever you get any Apologia program you should ALWAYS purchase the student notebook. It is so worth it! First of all, the notebook includes a daily schedule with reading/labs/questions all spelled out for you, which is in itself a huge bonus! The notebook also includes all the questions in the chapter, so your child has one place to record all their answers and you aren’t chasing papers around. Lab forms and chapter reviews are also included, so you really don’t need to purchase additional notebooks/binders etc. There is plenty of room for students to write and take notes too. The test book and answer key are also a great component of the program. By high school, kids need to get used to taking tests and I don’t want to have to make them up on my own, it’s just additional work I don’t need. A complete answer key makes it easy for me to grade everything at a glance, so I know if we need further discussion or study on a topic or if we can just move on. Monday: Cookout, I am making my Corn and Black Bean Salsa since my friends asked me to! Thursday: Spaghetti with my homemade sauce!